The lead story in today’s Wall Street Journal chronicles a neat little morality play on corporate responsibility and the power of the free market. Faced with the twin specters of childhood obesity and possible government regulation of children’s advertising, Kraft Foods, Inc. announced in January that it would stop advertising certain products to children under the age of 12. To be sure, this is not a perfect solution. The company, which makes such teeth-rotting, waistline-expanding and nutritionally-challenged fare as Oreo and Chips Ahoy! cookies, Fruity Pebbles and Honeycomb cereals, and Kool-Aid drinks made exceptions to its self-imposed ban. For example, it continues to market its sugary and caloric Capri-Sun Sport drink to children, making it sound like Gatorade for youngsters. Still, it seems that Kraft learned a lesson from the travails of its corporate sibling, Philip Morris USA. Philip Morris, of course, denied the health effects of tobacco for years. Then it lost its landmark $200 billion lawsuit in 1998. Now it is in favor of government regulation of the industry, which is opposed by other tobacco companies. Kraft is in a similar bind. Its competitor, General Mills, Inc., continues to market its Trix and Lucky Charms cereals to this young demographic, unburdened by any sense of shame or fear of a tarnished reputation. Despite its imperfection, Kraft is to be applauded for its decision. What’s more, Kraft took this step without being forced into it by government regulation. Therein lies the moral: In the end, it is up to individual companies and industries to understand what’s right and what’s wrong. They may be pleasantly surprised to find out that it is good business, too. Are the big oil and gas companies headed for trouble? With several of them posting record profits this quarter, one would think not. The industry is enjoying the rare benefit of increased demand along with surging prices. The cash is rolling in. Life is good. But one wonders how sensitive these behemoths are to a potential backlash from the American public for profiting at their expense. As we head into winter, the gap is likely to worsen. Oil and gas consumption will increase, causing a further dent in consumers’ wallets. I’m not anti-business and I’m not advocating that these companies should not be profitable so we can drive around in our SUVs and purchase cheap gas without reservation or concern. However, if I were the communications chief of one of the these oil companies, I wouldn’t be waiting around hoping that the American public doesn’t wake up and take action. Instead, I would urge my management team to use a small percentage of those profits to benefit a cause that would help some of the people who are hurt by the rise in energy prices. I would use it as an opportunity to preempt any consumer backlash and use it to strengthen the company’s reputation. I would send a clear message to all of my key stakeholders that while critical, the bottom line shouldn’t be the only measure of success. After all, the price tag on any company’s reputation is likely to be a lot higher. Unfortunately, I don’t know of any oil company that has adopted this strategy. Wall Street is too focused on near term results so management teams are too focused on profits. Time will tell how this all plays out but ignoring the issue and continuing to reap the benefits at the expense of customers is akin to throwing fuel on a fire. Today’s New York Times Metro Section contains a front-page article about a returning Iraqi veteran, Michael Serricchio, finding that his former $200k per annum job at Wachovia Securities had been eliminated during his tour of duty. The 33-year-old husband and father says that, after three months of pleading with his employer to get his old job back, he was instead assigned to making cold calls for a $2,000 monthly draw on commission. Mr. Serricchio says he intends to sue. Wachovia executives won’t comment publicly on the issue, saying it’s a legal matter that needs to play itself out in court. As a result, what could have been a minor issue easily resolved has now blown up on the pages of the Times. One wonders who is making the calls within Wachovia. Is it a human resources executive? Perhaps it’s Serricchio’s erstwhile boss? More likely, a chief legal counsel is calling the shots. I just hope corporate communications wasn’t involved in this fiasco. And if it wasn’t, why wasn’t it? Too many times short-sighted decisions that can have a huge long-term impact on an organization’s image and reputation are made without consulting corporate communications first. If Wachovia was smart, they would have reinstated the returning soldier’s job. Instead, they’ve done an excellent job of reinforcing the pervasive attitude many Americans have towards large companies: that they’re cold, uncaring and focused solely on the bottom line. Once upon a time, our agency had a very mean client. This client had an ego that would put The Donald’s to shame. She believed she walked on water and, as a newly minted partner at the executive search firm we represented, felt her personnel announcement should be a cross between "War and Peace" and "On the Road." This was a brand new client for us, and handling this woman’s personnel announcement was our first assignment. Each day, a revised draft would be sent over and would boomerang back to us faster than you can say, "Crocodile Dundee." Why? Because it didn’t flatter her ego to the degree she felt appropriate. Our writers "didn’t get it," she would tell us. "They don’t understand that I once ran a company and was profiled on the cover of Obscure Business Today," she would sniff. As the days progressed, our queen of mean became increasingly disenchanted with the drafts of her press release. "They’re boring," she would complain. "They don’t capture all of the amazing things I’ve done," Then, literally 10 days into the relationship, we were fired because, "we couldn’t execute on the personnel announcement." To add insult to injury, we were told they weren’t comfortable we’d be able to generate the kind of front-page trade story coverage her announcement demanded. Fast forward to the present. We had just been contacted by a prospect firm with a strikingly similar name as that of the executive search company. Since the long-forgotten name was back on our radar screens, we decided to find out what had become of our nemesis. So, we checked the site. She was gone. After a little checking, we discovered she had landed at a larger, much better known search firm. And there was an announcement about her joining the firm in the press section. And guess what? This major tycoon of the modern business world received exactly two sentences in a trade rag. Ah, we thought. There is such a thing as poetic justice. Your Call is Unimportant to us. So is your Loyalty. Just when I think that the major international airlines are lumbering awake in the face of their impending doom, I am reassured that, alas, they are just as obtuse as ever. An ongoing battle with one of them, American, serves as confirmation. Last spring, we flew on one of American’s OneWorld partners to Europe. In total, we flew about 8,000 miles, which American refused to credit to our frequent flier points. "It didn’t go through," I was told at first. Only after finding all my receipts, boarding passes and itineraries, then faxing them to Dallas and waiting for weeks, were we rewarded with a grand total of 1,077 points each. Calling the customer service center proved to be a fruitless endeavor, as well (that was after searching the web site for a number to call, which took some time). Each time I called, I was immediately put on hold and forced to listen to Muzak. If American doesn’t want disgruntled customers to call, this is the way to do it. I gave up. This is no way to treat a dwindling base of loyal customers. They have far too many choices and you need them more than they need you. If you want examples of good customer service, look at what JetBlue and Southwest are doing. Their customers are fanatically loyal. Yet the big airlines wonder why they have problems. I would tell them to look within. You can’t blame fuel and labor costs for everything. 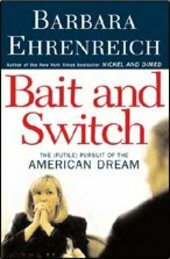 I’m in the midst of reading Barbara Ehrenreich’s new book, "Bait and Switch: the (Futile) Pursuit of the American Dream." As she did in her incredible "Nickel and Dimed: On (Not) Getting By in America" tome of 2001, when she went "undercover" to see what it was like to be a member of America’s working poor, Ehrenreich goes incognito in search of a new story. This one really hits close to home, as the former New York Times columnist reinvents herself as a 50-year-old unemployed public relations freelancer and event planner. She takes the reader along as she goes job hunting for a full-time corporate PR gig. Unlike "Nickle and Dimed," however, the story is slow and unappealing. The author spends far too much time ridiculing the various self-help job search gurus and PR executives she encounters on her sojourn. What really got my attention, though, were Ehrenreich’s constant jabs at, and put downs of, the public relations field, which she refers to as "journalism’s evil twin." Ehrenreich reminds me of so many other "holier-than-thou" journalists who look down their collective noses at PR and refuse to admit how much they depend upon us for ideas and access. 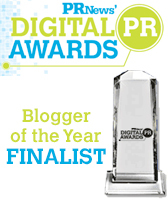 This has obviously been an age-old problem for PR people and isn’t likely to change anytime soon. Still, I’d love to hear or read something from a journalist that speaks objectively about PR, and recognizes what we bring to today’s 24×7 world. Well, I can always dream. Oh, and by the way, Ms. Ehrenreich? We’d never hire anyone with such preconceived notions and such an obvious chip on her shoulder. Better hang onto that day job. 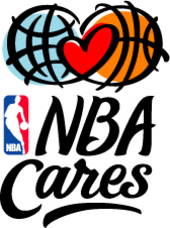 What a fascinating announcement by the National Basketball Association that it intends to clean up its image with a comprehensive campaign entitled, "NBA Cares." One of the highlights is a new dress code for players that will discourage Phat Farm-type garb and suggest they sport more acceptable, mainstream togs. The new program is a smart move in the right direction for a league that is still reeling from the fallout of last season’s Indiana Pacers-Detroit Pistons slugfest. But, like any other image or reputation program, the new campaign will only be as effective as the product, service or institution it represents. In other words, the campaign must "ring true" with the average Joe. So, will we now see a kinder, gentler type of NBA player as a result of NBA Cares? Will on- and off-the-court behavior suddenly be transformed as a result? If the league is really serious about changing its image, it needs to address players’ behavior first. The NBA must either institute mandatory counseling and training or provide some sort of 24×7 helpline for players who simply don’t have the wherewithal to deal with their sudden fame and fortune. With more and more players being arrested for increasingly grievous crimes, a new dress and deportment code is little more than a band aid unless it is enforced consistently and completely. Otherwise, this new policy will have as much credibility with fans as sending Bernie Ebbers and Ken Lay on a speaking tour to espouse best practices in corporate ethics would have with my peers in the business world.